I first met Perry Robinson, son of famed composer Earl Robinson in 1965. Perry had recently been discharged from the U.S. Army where he had formed the Uni Trio with bassist Bill Fowell and drummer Tom Price, having developed his tunes on the banks of the Panama Canal where they where stationed. We became close friends and musical partners for the next 53 years. I played Perry’s music on numerous Uni Trio gigs over the years, while he played in my first band The Purple Why, then the Spacelight Band from the late ’70s through our last concert in 2003. 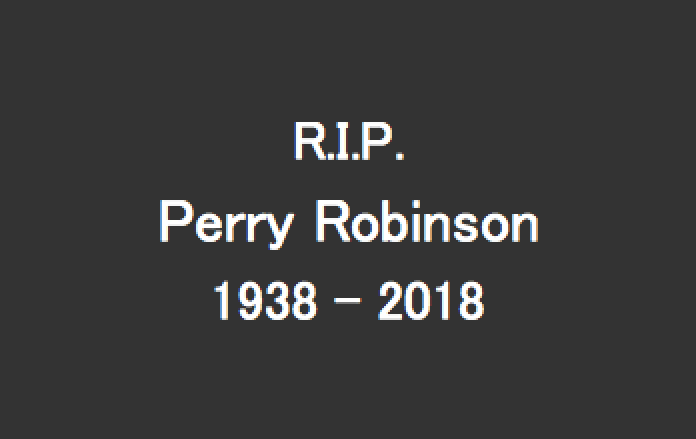 Perry was not only a virtuoso musician, having been recognized early in his career as a Downbeat New Star Critics Poll winner, but a most advanced human artist who became a mentor for so many young musicians in the emerging free jazz genre. 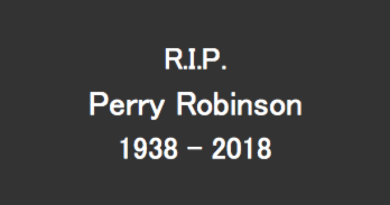 When pressed Perry called his style “free folk” drawing on his roots meeting the legendary folk music pioneers his father was associated with, such as Woody Guthrie and Pete Seeger. The earliest concert recording in my archives was a Uni Trio salon performance in a Brooklyn brownstone in 1965. I plan to release a Tompkins Square Park Purple Why concert in Manhattan that took place in 1967, as well as Spacelight Band concert excerpts featuring Perry which were recorded at libraries in 2001 and at the Forest Park Bandshell on August 31, 2003 in Queens New York City. The attached B&W photo was on our Purple Why float at the Mobilization for Peace demonstration from Central Park to the United Nations on April 15, 1967. Seen by millions on the parade route, it was at the time the largest protest march in American history. It was led by Dr. Martin Luther King, Jr, Dr. Benjamin Spock, singer Harry Belafonte and other leading anti-Vietnam political figures. 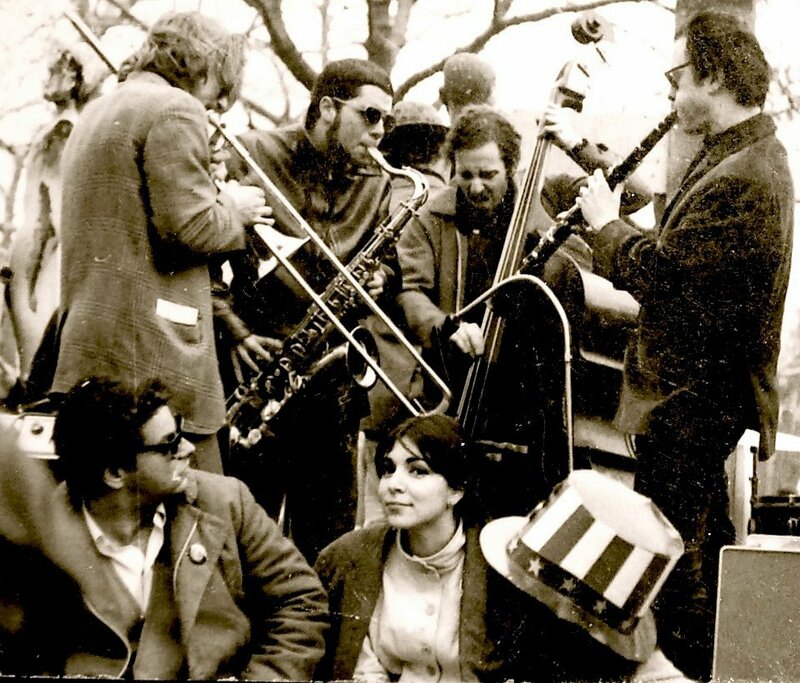 Band members shown are Marty Cook (trombone), Joel Peskin (saxophone), Steve Tintweiss (bass) and Perry Robinson (clarinet) on April 15, 1967 aboard a moving float on 5th Avenue NYC. 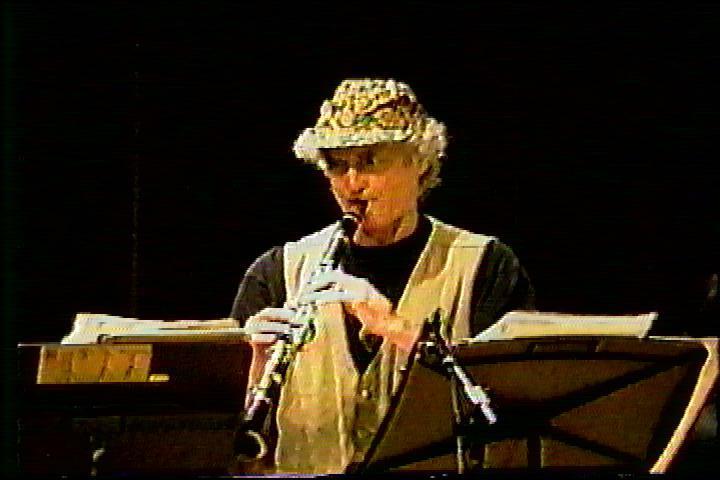 The second photo of Perry is a video frame capture with my Spacelight Band at Flushing Public Library on December 15, 2001 in Queens, NY.